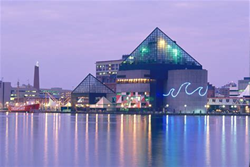 Enabling Technologies, focused on Enabling Secure Productivity in the Cloud, helps the National Aquarium save “real money” and aggravation with their secure communications and collaboration infrastructure. With the Azure AD Single Sign-on the reduction in time and aggravation is immeasurable. Enabling Technologies is the leading Systems integrator of Microsoft Office 365 solutions. Enabling has 25 years of messaging and real-time communications experience and over 1500 deployments of Microsoft Skype for Business/Lync, Exchange and Exchange Unified Messaging and Office 365. Enabling’s tried-and-true processes have helped customers minimize risk, maximize existing investments, and optimize the end-user UC experience. Enabling takes an all-inclusive approach to projects, mastering the technical components while also optimizing the people and process side to technology rollouts. We specialize in secure Cloud solutions including Office 365 and Azure AD, Multifactor Authentication, Intune, Azure Information Protection, Cloud App Security, and Azure Security Center. Having Enabling design, implement, and proactively monitor your Office 365 and Skype for Business systems is the first step to changing the way your workforce thinks about communications, for the better. Enabling Technologies’ staff is comprised of seasoned, certified IT professionals who work with a range of next-generation technologies and can recommend and implement the “right solution” for our customers. As validation, Enabling Technologies, a four-time recipient of the Microsoft Partner of the Year award, has provided professional services and solutions to organizations of various sizes from such diverse industries as government, legal, financial, pharmaceutical, manufacturing and medical.